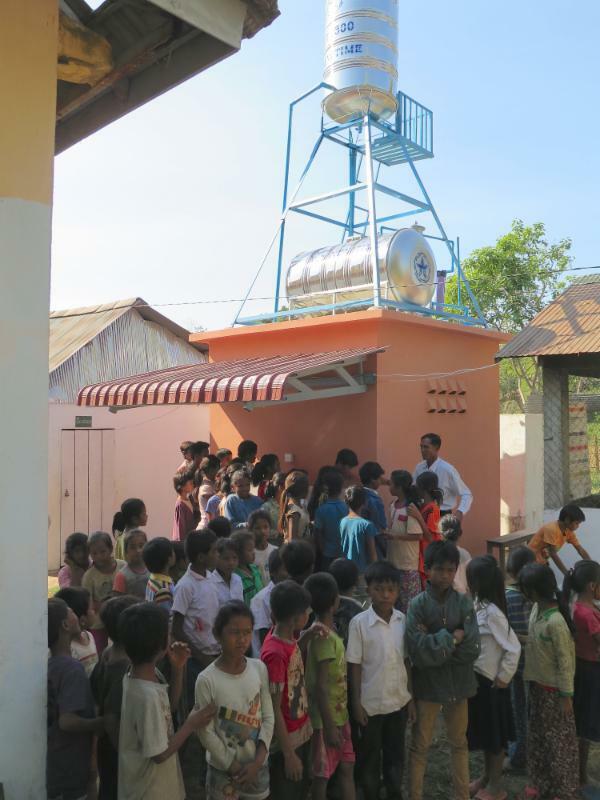 K.I.D.S recently completed another water project north of Siem Reap for a rural primary school. 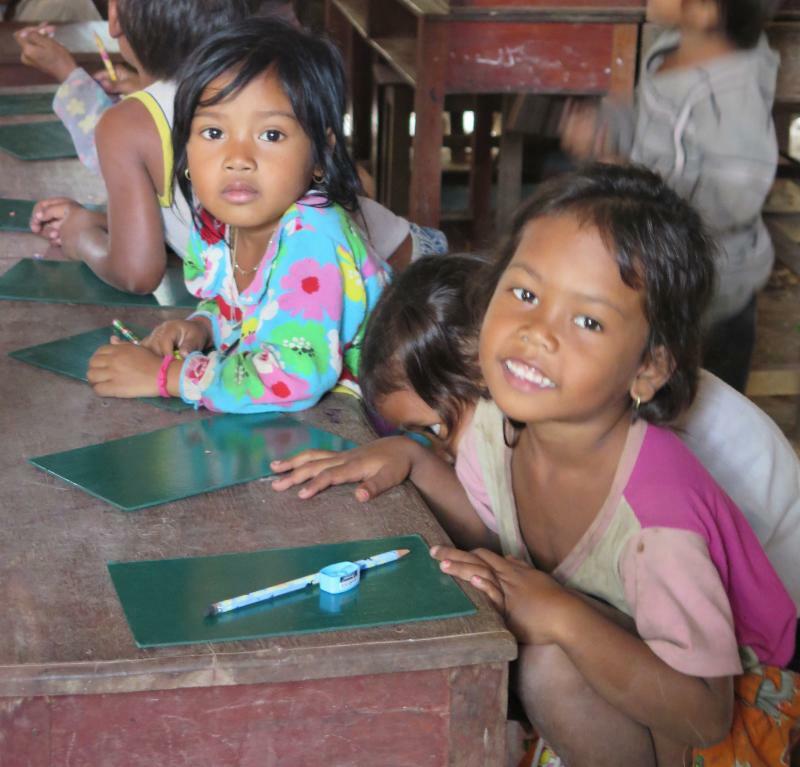 Last year when we first visited the school we were surrounded by hundreds of small children. It was not hard to tell from looking at them that many would be under the national standard for weight and height. K.I.D.S assists several schools in this area, called Pouk District. Each year we try and increase the capacity of a school by providing clean drinking water, educational materials and a library if possible. We are always looking further down the road to the next school; a little more isolated and with many children in need. Looking into this school's existing well we could see what is always a contributing factor to the health and well being of these children; murky, dirty water that has proven time and again to keep the children ill with chronic, stomach and digestive issues. This past year we partnered with Lush and their "Charity Pot Giving Program". 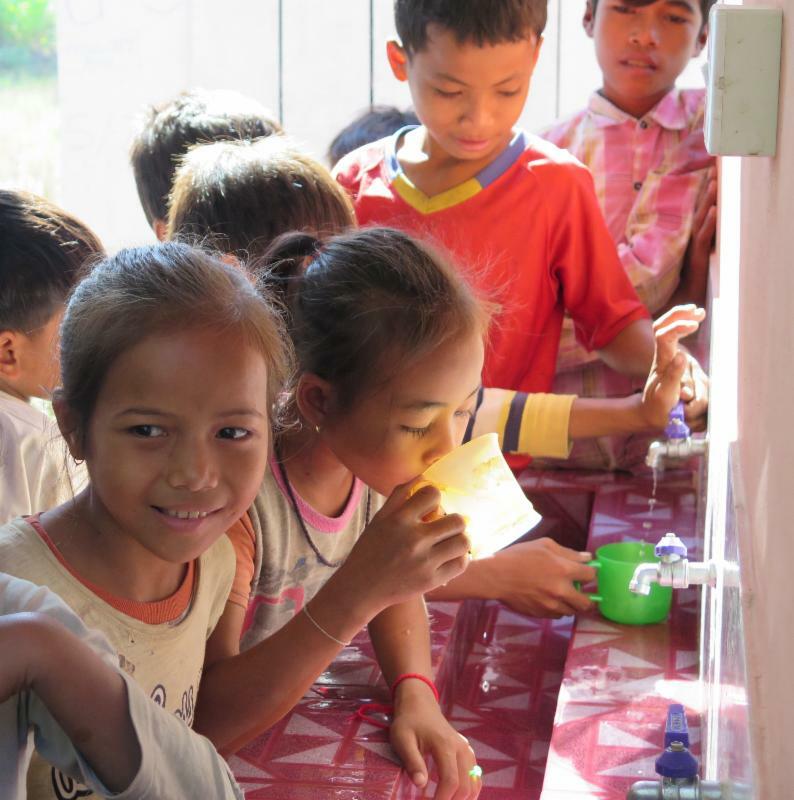 Thanks to Lush we have been able to install a clean drinking water system for hundreds of children. The Cambodians call it tuk sa'at or "beautiful water". We arrived at the school in the morning to see the completed water project and to deliver school supplies and school uniforms. We distributed the school supplies and left the teachers with the job of giving out the uniforms as they could do it on child-by-child basis identifying the poorest children. 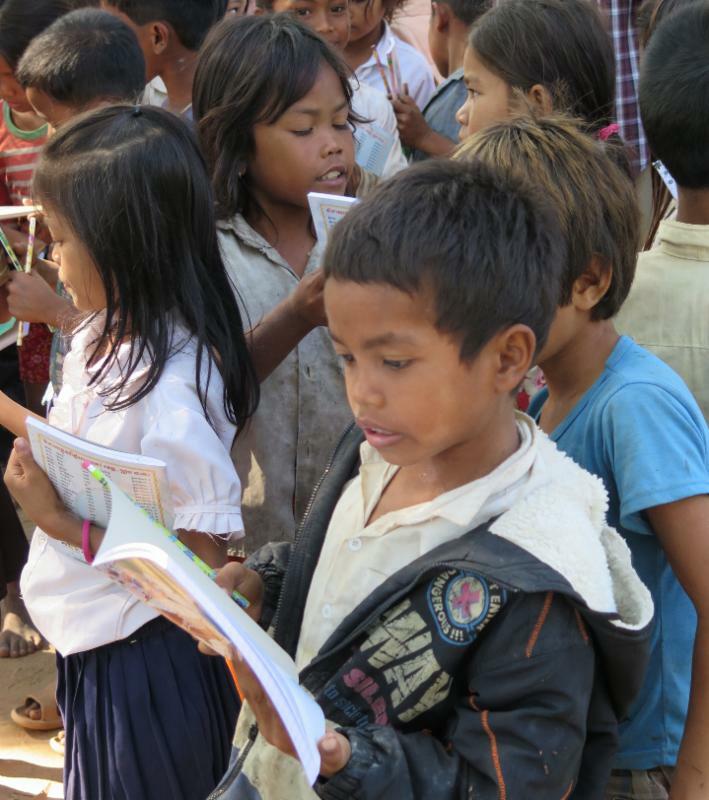 Once the children received their books etc. they went and had their fill of drinking water from the water project. Of all the improvements to children's lives that KIDS provides, thanks to your collective generosity, one that stands out and fills our hearts is to see children drinking to their hearts content. Watching them chatter and jostle at the taps, as happy kids should, is always a very touching and gratifying experience. Here, as with all the other water projects, the children will be able to satiate their thirst with no limits and take some clean drinking water home at the end of the day to share with their families. As we well know, being ill from drinking dirty water is both exhausting and depleting. It is good to know that now at this school children have a much better chance to learn and be healthier thanks to the gift of clean water. When it comes to improving the lives and the ability for children to thrive clean drinking water works.